The Coldest Girl in Coldtown by Holly Black follows a girl named Tana whose world is surrounded by quarantine zones called Coldtowns. In this world, the infected turn into vampires and either go willingly or are sent to live at the start of an undisclosed outbreak. 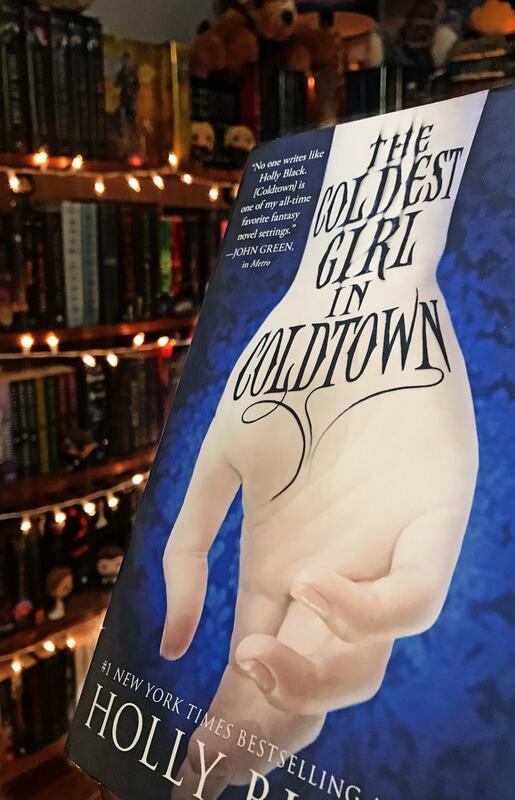 “The Coldest Girl in Coldtown” by Holly Black follows a girl named Tana whose world is surrounded by quarantine zones called ‘Coldtowns.’ In this world, the infected turn into vampires and either go willingly or are sent to live at the start of an undisclosed outbreak. Now, Tana lives just outside of one of these towns and her life is pretty normal except that she learns about what to do if you “go cold”; which in this world, means you have been infected. One morning, Tana wakes up in the bathtub of a house where a party had been the night before. If that wasn’t bad enough, everyone at the party is now a corpse littering the ground throughout the house. The only survivor? Her ex-boyfriend, who is now “going cold”. Also, in the locked room where she discovers the ex-boyfriend Aiden, is a full-fledged vampire named Gavriel. Now don’t judge this book too harshly just because the description includes the word “vampires”. I know back in what I like to call the “Twilight-era”, it was cool to like vampires, but now the cool thing to do is to crinkle your nose like you just smelled the dead yourself. This book offers a unique twist for what it would be like to live on the outskirts of an infected zone. It does also offer a different point of view to the whole concept of being infected and what it means when someone you know becomes doomed to go into quarantine. The description of this book held a lot of promise for me. However, personally, it took way too long to get going and by that, I mean I wasn’t really hooked until over halfway through. Now I have also read the most recent book by Holly Black, “The Cruel Prince,” and I felt the same way about that one. So, let’s pass this off as just being a personal discrepancy with the author’s writing style. While I enjoyed feeling like I really knew Tana and what her next thought was going to be, I felt dragged down at times where the story really could have pushed forward. This story is slower compared to other things I read, but it makes me wonder what this story would have been with an overall faster pacing. We receive this super exciting opening with corpses, ex-boyfriends, vampires and a chase scene. Which later turns into a road trip and reflections of the past, that slows the story down and appears to disconnect the story, while offering some background to the characters. However, we do get introduced to two side characters, who do play a larger role later on, during this time. I do recommend this one though if you are looking for a spooky read that includes a bit of a love story but doesn’t truly focus on it. The story does deal with potentially dark themes that may not be the best for a younger audience. But if you enjoy infected cities, ex-boyfriend drama and that girl who takes the color black way too seriously, then you will enjoy this one!